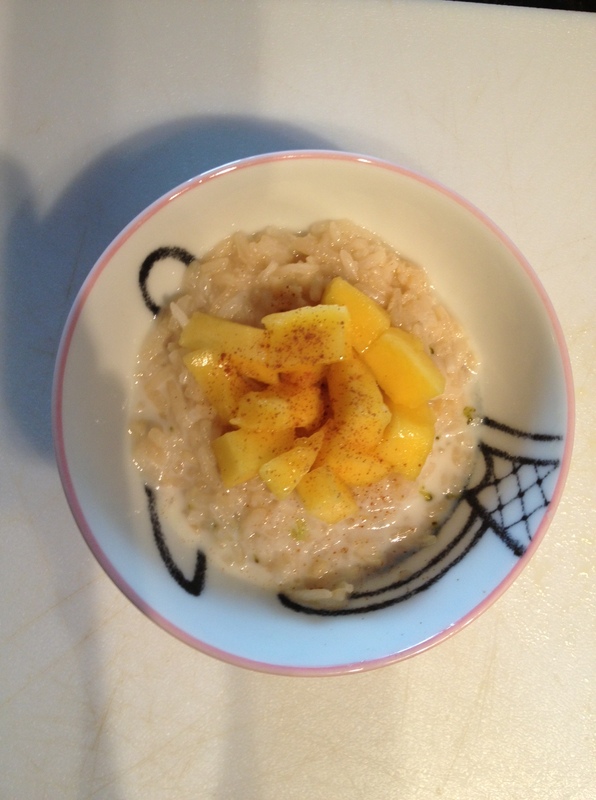 Success in the toddler test kitchen: Mango Sticky Rice! I won’t mess with her recipe for sticky rice, but I will say: if you’ve never steamed rice before, it’s the funnest thing ever. It’s like watching flowers grow in twenty minutes. You just see this steamer full of rice expand into the most beautiful little kernels of juicy Thai jasmine rice… and then, with the addition of the coconut milk sauce … divine. I admit I’m a bit of an over-excitable super geek when it comes to food and cooking, but hey – that’s why I’m writing about it! To make it extra toddler friendly, I topped it all with milk and a dash of cinnamon.